"Terrific day of new experiences!" Shelling. Sightseeing. Dolphin and wildlife encounters all rolled into one. The best bang for your buck. Explore the beaches and bay of our islands on an unforgettable natural adventure that is sure to be the highlight of your vacation. We offer a full day experience that covers all of the natural "must-see's" of our marine habitat. Explore hard to reach beaches and coves, learn to paddleboard, grab lunch, drinks, or ice cream at island outpost restaurants only accessed by boat. Let us show you the best that our islands have to offer! Learn the in's and out's of the estuarial marine habitat on a guided tour with Stefanie Plein, M.S.. This is your chance to dive deeper into our local habitats further than ever before. From the grass flats, mangrove habitats, and sprawling natural beaches, marine biologist Stefanie Plein will walk you through an unforgettable experience that will leave you with an all encompassing understanding of how our marine systems function in Southwest Florida. 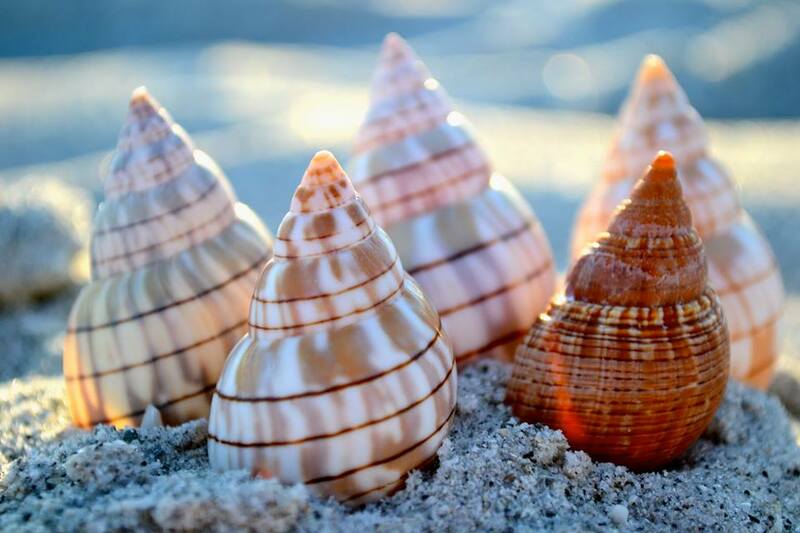 Interested in shelling? Stefanie has you covered! 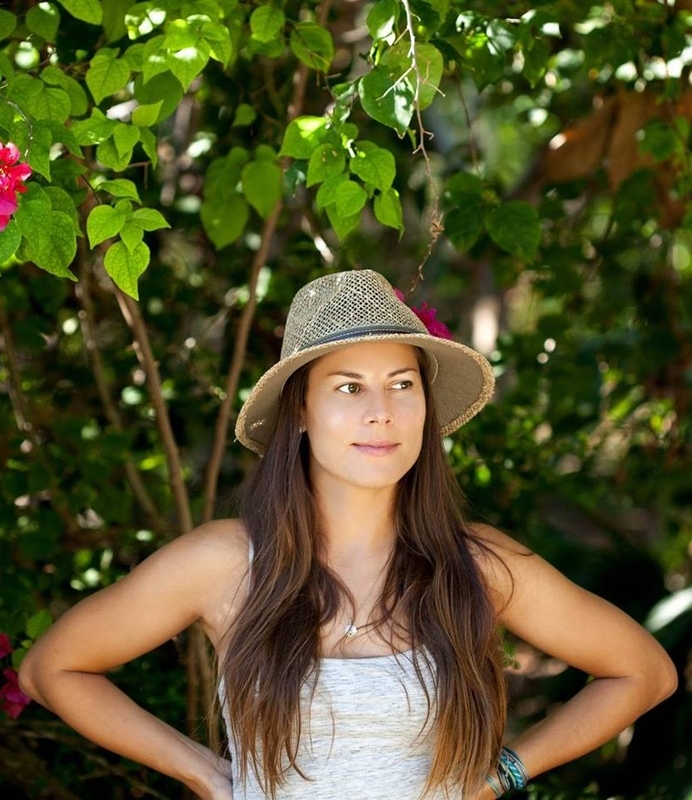 When you book a half day eco charter, you can “add on” Stefanie to the trip. In place of modern fishing practices which can lead to thousands of feet of discarded and entangled hooks, weights, and fishing line every year we choose to engage in sustainable look-and-release fishing practices by using a traditional seine net in shallow waters. 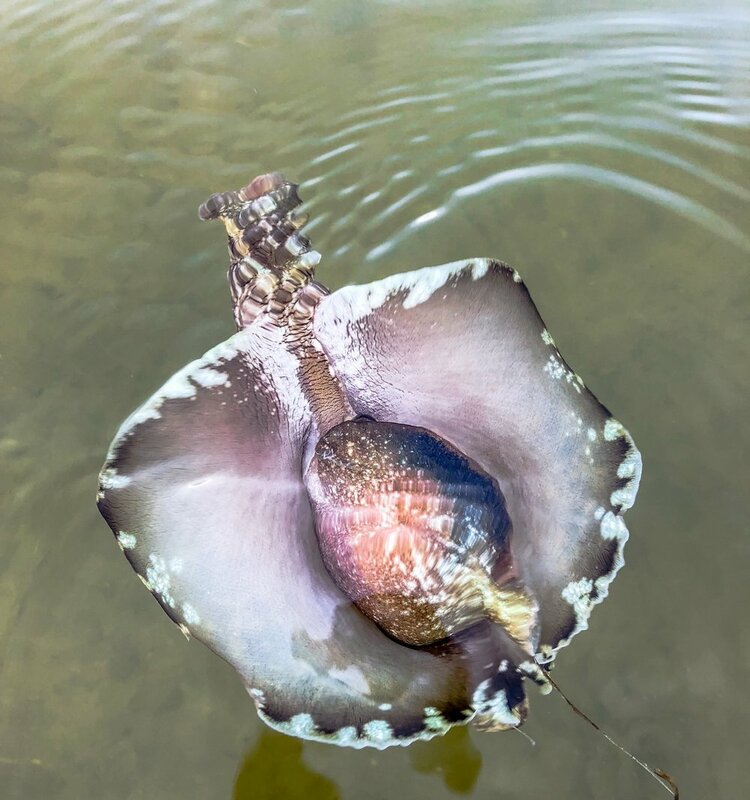 By using a seine net we are able to briefly trap varying species of fish, shrimp, seahorses, and crabs for educational purposes before releasing them back into their home unharmed. While enjoying our time at the unspoiled beaches of our area we often like to use our onboard paddleboard in the shallow, calm waters right off the beaches. For beginners we offer instruction and cover the basics to get you standing up and paddling right along. Dolphin occasionally swim by and curiously approach for a better look! When the weather is calm we bring along assorted sizes of snorkel gear for you to enjoy the warm, shallow waters right off of the beaches. This is one of the best ways to search for shells, sand dollars, and other organic marine materials that often go unseen by the common passerby on foot. A locally born native to Southwest Florida, Stephen fell in love with the water at an early age. From exploring the mangroves behind his childhood house to swimming in the Gulf waters he developed a deep understanding and appreciation for his surrounding marine environment. It was with this foundation that he formed his dream of sharing the importance of the recognition and conservation of local marine species and their ongoing protection. Plein does this through the operation of daily private charters. After completing his undergraduate degree at the University of Miami, Plein led private kayak excursions on the islands of Captiva and Maui, where he honed his craft as a guide. Stefanie draws from an extensive education and research in the marine biology field. 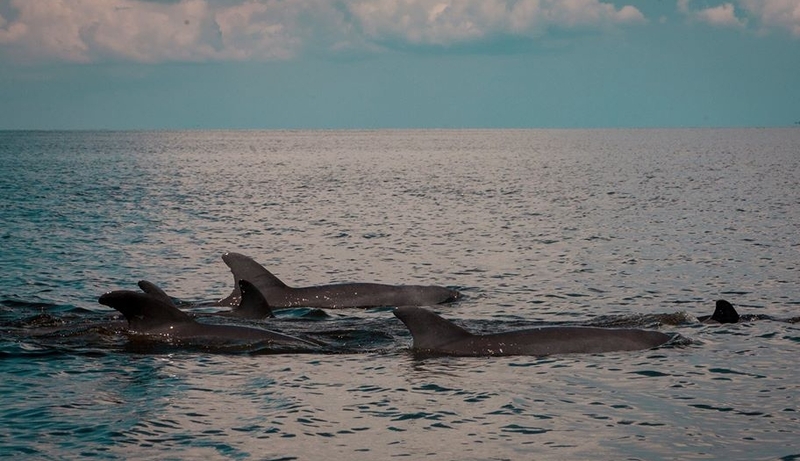 She earned a Master of Science degree in Biology from Western Illinois University while studying the home range use patterns of resident bottlenose dolphin in the Adriatic Sea. She received her Bachelor of Science degree in Ecology, Evolution, and Animal Behavior from the University of Minnesota Twin Cities. Stefanie has studied manatee with the Florida Fish & Wildlife Conservation Commission and is an active volunteer for Sanibel-Captiva Conservation Foundation’s sea turtle program. Plein has also taught seven semesters of Marine Biology to undergraduates at Florida Gulf Coast University. Through her love of marine mammals, sea turtles, and mollusks, Stefanie shares a wide variety of knowledge with clients on our private marine biologist led excursions. Dawson loves exploring and enjoys meeting new guests aboard our vessel when the captain brings him along (Dawson only comes along upon individual request). How many passengers can you accommodate? Per US Coast Guard regulations, we can only take up to 6 passengers. If your group is larger than 6, please call us to discuss the possibility of partnering with another captain to charter an additional boat. Where do we depart from? Our charter boat in Sanibel-Captiva, FL, sails out of Green Flash Restaurant (15183 Captiva Dr. - bayside of Captiva). Can I bring drinks and snacks on board? Yes, we have a cooler with ice on board. Feel free to bring any snacks and drinks that you would like while we are out on the water. In an effort to reduce single-use plastics in our waters, we do not provide bottled water and ask that you please remember to bring a reusable water bottle! Are your rates per person? No, our rates are per private trip. The cost is the same whether it is 1 or 6 people. What type of payment do you accept? Payment will be made at the conclusion of your sunset boat trip or tour. We accept cash, check, and credit card (small service fee is added). What is your cancellation policy? We collect a deposit to reserve your date and time slot. This deposit is non-refundable unless the trip is canceled by the Captain due to bad weather or unforeseen boat problems. In the case of inclement weather, we will try to re-book your trip for a better day if your schedule allows. Otherwise, we will cheerfully refund your entire deposit. If you fail to show up for your charter or cancel within one week of departure, you forfeit the entire charter amount. Is there shade on the boat? Yes! Is there a bathroom on board the boat? Unfortunately, restrooms are not available on the vessel, but we will never be more than 10 minutes away from one. A sand dollar as large as your head! What will we see? If you’re hoping for a dolphin cruise, you’re in luck! On every trip marine mammals (West Indian manatees and Atlantic bottlenose dolphins) are a main attraction. We also see birds, historical landmarks, undeveloped beaches and islands, and miles of unspoiled mangrove and seagrass habitat. We will provide you with a very memorable tour. Where do we go? We explore the largely undeveloped barrier islands of northern Pine Island Sound. Are you licensed and insured? Yes! We are licensed under the US Coast Guard. We are also insured. Contact us today to get underway on your unforgettable ocean exploration. We proudly serve Sanibel-captiva, Florida, and the surrounding areas. We are proud to offer full service, privately guided trips to Cuba. Through people-to-people travel we are able to provide fully customizable excursions that are both culturally responsible towards the Cuban people and ecologically sensitive in regards to the many endemic species that fill the diverse landscapes of a breathtaking country that has been sealed in time. Arguably the most beautiful island in the Caribbean, Cuba offers endless exploration and natural surprises that have been protected through the lack of development. Our itineraries start from just 4 days/3 nights With a “taste of Havana” ranging to a 14 day guided birding excursion through the differing biomes of the country. All trips are private and tailored to your specific needs and pleasures. You’ll enjoy one of our private guides and drivers from the moment of arrival who will steward you through both the cities and the field. You can rest easy knowing you are in the hands of professionals throughout your stay. Experience nature as it was meant to be when you join us at New Wave Eco Charters. 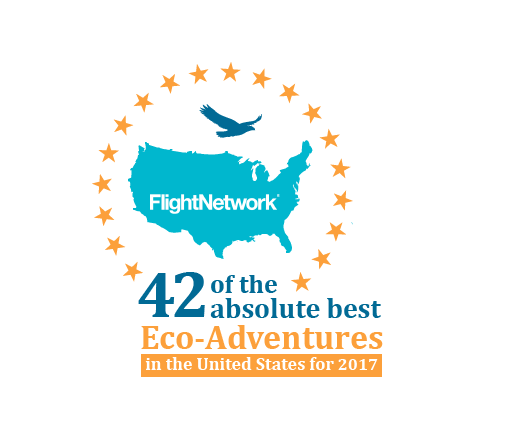 Our company offers exciting eco-tourism experiences for passengers in Sanibel-Captiva, FL, and surrounding areas. 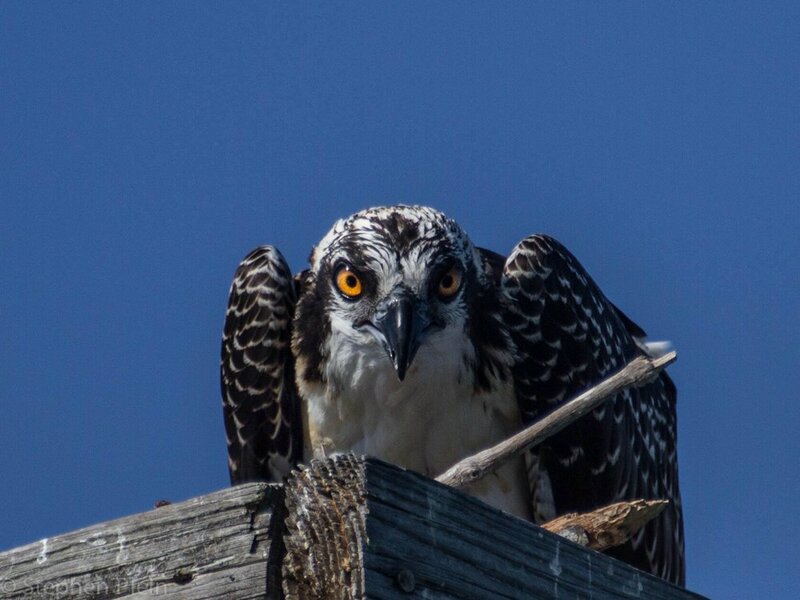 When you take part in our chartered tours you will explore the natural beauty of the beaches and estuary of Pine Island Sound and the Gulf of Mexico. We provide a number of individualized options for groups looking for a special way to spend the day. Book your guided wildlife excursion with us today to take part in one of our private trips. 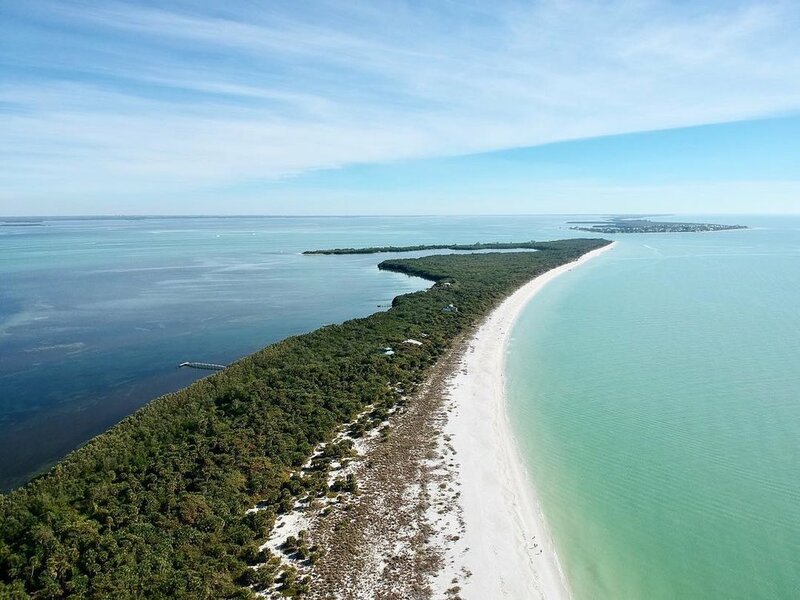 The Sanibel-Captiva area is filled with endless things to do and sights to see. It's no wonder that this beautiful area is a destination for countless people each and every year. Experience our local marine life and learn more about these stunning islands that we call home when you join us for one of our sightseeing excursions. Our team includes a marine biologist and a native captain who are excited to share their love of the water with every guest. We act as your personal guide during your serene experience. Our goal is to show you the natural beauty that surrounds us while letting you unwind and unplug from everyday life. You could spend all day exploring the Sanibel-Captiva area and not see everything there is to see. By taking part in our sightseeing excursions, you will have easy access to the best parts of the area. We offer private tours that take you to hard-to-get to spots that most people never get to see. Ready to start exploring? Book your trip with us today! For your convenience, we accept cash, check, and credit payment, and rates are charged per trip, not per person. We are fully licensed and insured for your safety. Please note that in accordance with United States Coast Guard regulations, there is a maximum of 6 passengers per boat. Parties larger than 6 can be accommodated in a second boat/captain setup at twice the standard rate. You must give us advanced notice for these situations. Contact us today on Sanibel-Captiva, Florida, to book your excursion with our team. We offer guided tours throughout the area. Sign up with your email address to receive New Wave Eco Charters news and updates! Thank you for your submission! We look forward to keeping you connected to all things New Wave! Click the bold titles below to read the articles. Prior to co-founding New Wave Eco Charters with her husband, Stefanie Plein (née Wolf) spent 3.5 years working as a Marine Naturalist for the Bailey-Matthews National Shell Museum. She was featured in the below publications.